Ralph Evans Long, 97, of Millington, died on November 18, 2018 at Vassar Fields Assisted Living. He was a husband, a dad, a grandpa, a friendly helper, an MSU fan, and a World War II hero. Ralph was born in 1921 in Millington, Michigan to David and Carrie (Frahm) Long. His mother died when he was 2 and he “was taken in” by Great Aunt Hattie Evans Garner. He lived with her until her death when he was a teenager. He then worked on area farms mostly for room and board. One day while walking to Mayville, he saw a bicycle in a yard. He bought the bicycle and by the time he reached Mayville, he had mastered riding it. Ralph grew up during the Depression and it shaped the man he was to become. He worked hard and knew how to make the most of everything. He was the king of recycling before it was fashionable. Helen often referred to it as “junk”, but he always had a nail or a screw or a bolt to fix anything. If he didn’t, he often made one. On January 22,1940, Ralph entered the U.S. Army in Detroit, Michigan. For the first three years of his enlistment, he served in the Panama Canal Zone where his unit was assigned to guard and protect the Panama Canal. In October of 1943, while on military leave, he married Helen Claire Leach who preceded him in death in March of 2011. At the end of his first enlistment, he re-enlisted and received advanced training at Fort Bliss, Texas and Fort Breckenridge, Kentucky. His unit, Company 1-291st Infantry, shipped to Wales, British Isles on October 22, 1944 and then on December 10, 1944 landed at Margarette, France. From France, by train, the unit was shipped to Belgium where the unit fought and marched through deep snow and mud the entire width of the country capturing Hosselt, Tohogne, Manhay, Basse Dodeux and then into Neer, Holland. From Holland, it was on to Germany fighting in the Battle of the Bulge and Colmar Pocket. His unit reached Bad Driburg when the war ended. Ralph, a heavy truck driver, was awarded the Bronze Medal for meritorious service while supplying food, supplies, and munitions to his unit under heavy machine gun and sniper fire disregarding his own life and welfare, to keep his unit moving forward. The unit returned to the States on June 17, 1945 where he received his Honorable Discharge at Fort Dix, New Jersey on June 23, 1945. In addition to the Bronze Star Medal, Ralph was awarded the American Defense Medal, the American Service Ribbon, the European-African-Middle Eastern Service Medal, World War II Victory Medal and the Good Conduct Medal. In recent years, Ralph enjoyed sharing stories about his adventures in the military. One of his favorite stories was that when driving, he was accompanied by an armed guard for protection. He tried several guards, but eventually he told his commanders that he didn’t want a guard because the guards startled, jumped and yelled every time a shot or bomb went off. This made him nervous, so he eventually drove without a guard. In addition to driving trucks, he was also assigned to drive a jeep for officers. Often, they ventured into enemy territory. There were several narrow escapes with Germans firing as he drove a jeep with fewer than 4 operational wheels. His stories became history lessons for the listeners. These firsthand stories are valued by everyone who heard them. After being discharged, Ralph returned to Helen and Millington. He first worked as a truck driver and assisted on Bell’s Farm in Fostoria. They soon moved to their house in Millington where he lived for over sixty years. The house soon became a favorite stopping place for family and friends. You were welcome for days or for just enough time to grab a cookie or a cupcake. Ralph spent several years as a volunteer fireman for Millington when they were called the “bucket brigade”. Ralph and Helen traveled throughout the United States. They visited states from Maine to California. During Ralph’s time in the military, he was one of the first people to visit Carlsbad Caverns in New Mexico. After retirement, Ralph and Helen spent winters in Florida for many years. Ralph was a big tease. If you were in his house often, you most likely were startled or surprised when he jumped from behind a door or corner. A piece of grass felt like a bug as he deftly dragged it on the back of your neck. There were many times ears became targets for him to snap, but only when he could do it as a surprise. There were countless times he dropped his teeth and made a face to the shock of young kids. Children and friends “camping out” in the backyard provided many opportunities for pranks. Always inquisitive about how things work, Ralph spent his life building and fixing things. He worked on his house and helped with his children’s home projects. He loved engines and working on them—cars, lawn mowers, trucks, and race cars. In the early 50s, Ralph was a mechanic for a racing team at the Dixie Motor Speedway. After taking classes at Flint Community College in the 60s, he started a welding business from his garage. Children and grandchildren have multiple stories of Dad/Grandpa building and fixing items for them. To them, Grandpa was a “real working man” capable of fixing anything. It is unfortunate that YouTube videos were not available throughout his life. Who knows what he might have done or built. 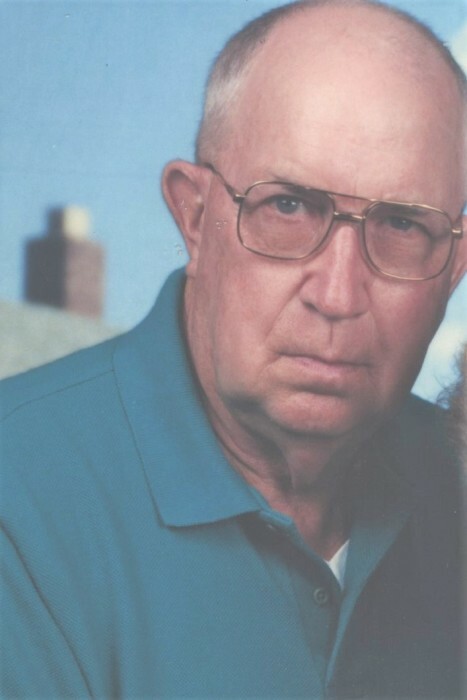 Always supportive of his children’s and grandchildren’s interests and activities, he attended countless football, basketball, and baseball games, diving meets, ice shows, concerts, bike races, plays, school programs, grandparent’s day, and graduations. Years ago, he told the story of driving cheerleaders to games with the radio on full blast and the girls talking “over it”. Nieces and nephews, also, would have him present at their momentous events. He would do anything for his children and grandchildren and we have many stories to share. Ralph is survived by his children: Ruth Ann and Howard Kitchen of Traverse City, Larry and Yvonne (Schlaire) Long of Millington, David and Carol (Bacon) of Washburn, Maine, Penney Shumway of Lansing, Gary Long of Traverse City and Carrie and David Petzold of Millington. He also leaves behind 13 grandchildren, 2 step-grandchildren, 9 great grandchildren, and 7 step-grandchildren. He was preceded in death by his wife, Helen; a son, Ralph, died in infancy; a grandson, Nathan; and his siblings: Margaret Jacot, Carl, Richmond, John, Harold, Bette Leaf, Annette Ransome, and step siblings: Charles Draper, Henry Draper, Ralph Draper and Earlene Draper Rakoczy. A special thanks to the caregivers at Vassar Fields who cared for our father at the end of his life. Please join the family for a memorial service at Hanlin Funeral Home in Millington on Saturday, December 1. Visitation will be from 11 a.m.-1 p.m. followed by the service. Ralph will receive full military honors. In lieu of flowers, donations in Ralph’s name can be made to the Millington Fire Department or the Millington Library.